Ada Lovelace (1815 – 1852), can hardly be considered an outsider as the daughter of George, Lord Byron the poet and his wife Annabella, also a baroness in her own right, first cousin of Lord Melbourne, the British prime minister and confidante and mentor of Queen Victoria when she ascended the throne aged eighteen. She is known as Lady Lovelace because when she was twenty, she married William, Baron King, promoted to Earl of Lovelace three years later, through her relationship to the prime minister. Nevertheless, I include Ada in my list of kindred spirits because I’ve been in love with her for many years, a rebellious spirit, often at odds with the society she lived in, especially in childhood and adolescence. Her parents separated when she was one, essentially because her mother thought that her father, famous as a celebrated romantic poet, was mad. So rather straitlaced and prim Annabella was determined that Ada would learn nothing of poetry, which she associated with the dissoluteness of her husband. 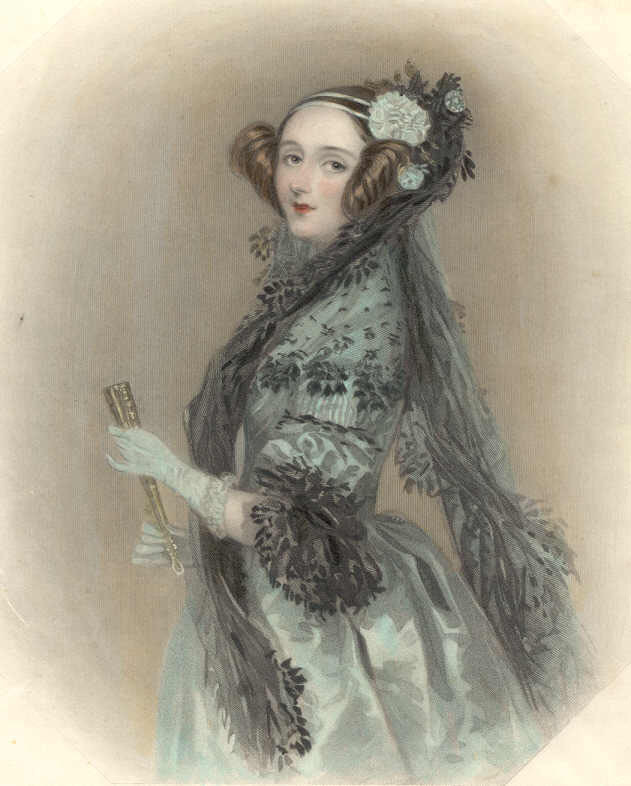 There is a lot more about Ada’s privileged but turbulent life, far ahead of her time, that I relate to in Benjamin Woolley’s The Bride of Science, which I’ll come back to when I have a moment.